Nobody seems to have a clear idea of how many people actually watch Cheddar. And it probably doesn’t matter. The web-video startup, which aspires to become the business-news outlet of record for millennials, has just pulled in another $US22 million in funding, bringing its total to $US54 million and landing it an impressive $US160 million valuation in just two years of existence. Those numbers are eye-opening, particularly in light of the recent fallout in digital media. 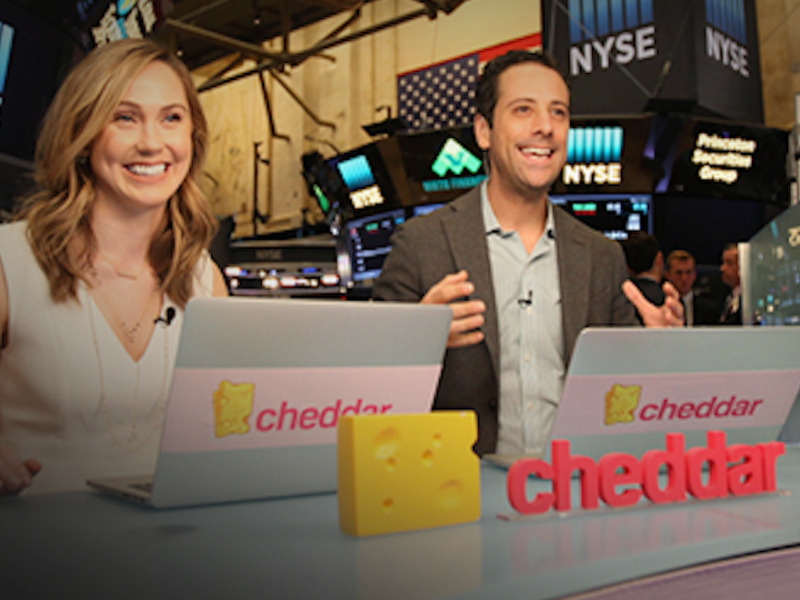 The fuzzier maths: How many people are actually watching Cheddar? It’s tough to gauge. Even its founder, Jon Steinberg, says so. To read more about how the company is scaling its growth, click here. ‘Much ado about nothing’: The ad industry is sticking with Facebook despite the Cambridge Analytica fiasco. That’s because most media buyers treat psychographic data – the kind of data used by Cambridge Analytica to target audiences – with scepticism. Instagram is tweaking the algorithm everyone hated and letting users view posts the way they used to once again. The app is getting a “new posts” button that lets users refresh their feeds manually rather than automatically, which will be prioritised by how recent they are. Dropbox is going public at a $US9.2 billion (£6.5 billion) valuation – better than expected, but still below its reported private valuation of $US10 billion (£7.1 billion).The firm priced its its initial public offering on Thursday at $US21 a share. Google is set to update its ad policies in the coming days in response to GDPR, the Wall Street Journal reports.It is asking the third-party websites and apps that use Google’s ad tech to be responsible for obtaining consent from consumers. Snap is providing brands with free data about store foot traffic, plus audience stats such as visitors’ demographics and interests, reports Adweek. It’s also launching a feature to let advertisers target specific locations, such as coffee shops.